For some, soy is a great meat alternative as it contains protein. On the other hand, there has been some controversy surrounding soy’s implications on health. This is because components in soy may act as estrogen, which can be problematic, especially in regards to cancer risk. The latest finding on soy is that consuming foods high in certain soy compounds may increase the risk of or aggravate prostate cancer. The researchers looked at data from over 27,000 men and compared their risk of developing prostate cancer over the course of 12 years. 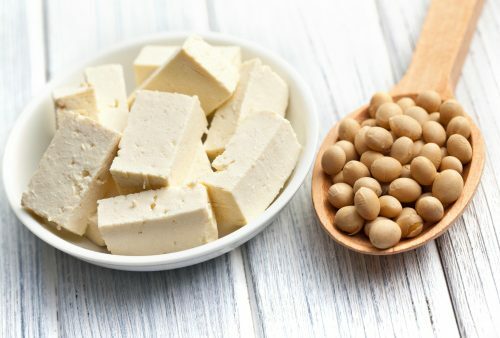 The researchers found that men who consumed the highest amount of soy isoflavones had a 91 percent higher risk of developing advanced prostate cancer compared to those who consumed soy the least. There was no link found between eating soy compounds and prostate cancer or non-aggressive prostate cancer in general. Although the study didn’t uncover the exact link, there are a few theories. Researchers suspect that isoflavones may trigger responses similar to estrogen and estrogen has been previously linked to prostate cancer. This is because the byproducts of estrogen are genotoxic, which means they can damage genetic information to prostate cells and lead to cancer mutations. There still needs to be more research to better understand fully the link between soy isoflavones and prostate cancer, particularly in more diverse populations, to see how soy affects different ethnic groups. Should you stop eating soy? This isn’t completely a yes or no answer at the moment. The researchers do warn against over-consuming soy—the men in the study consumed between 0.75 to 2.03 mg a day. As with all things, moderation is key. As for supplements that contain soy isoflavones, the researchers suggest there isn’t much worry there, either. Furthermore, because the study showed an association and not a cause-and-effect, there isn’t enough evidence to completely rule soy out. If you do have a family history of prostate cancer, then you may want to consider lowering consumption of soy. But if not, then consume at your own discretion. Is soy milk bad for men? What are the dangers of soy milk?